Astrology = Language of Hope. One who cares!! You should go through all blog posts of this website, to understand this. Spirits are always looking to fix things for your better future, happiness and security. Must read. This is the way I want my astrology to be. I believe horary astrology as a system, which can give glimpse or birds eye view of any possible situations. Anything goes here in this forum. We encourage you to ask questions of any nature. If you are visiting this website for the first time, take a look at “FAQ” page. Most of the questions are answered there. What is mystic horary all about? Visit our FAQ page. You will get a glimpse of all frequently asked questions. Star gazing skills.Modern approach to astrology. Methods and calculations are time tested and unique.The most useful art of the planet. I want to provide the best user experience on internet, where you can interact, ask questions in real time, using phone or video chat,irrespective of geographic restrictions. You don’t need to leave your home to meet an astrologer. This website makes things easy for you. Methods and calculations, are time tested and unique. Visit “about me ” page to know more. I have full faith on this system, based on my experience with 5000+ charts and counting. “Have a problem? Planets and stars indicate a pattern, about the trend. There is a way to overcome them, using horary astrology. The only catch is, how serious, alert and upto what extent you are willing to take risk. This information can be pulled using horary astrology. Remember timing and right action is important to manifest an event, as per horary astrology. Once you compromise with timing or action, there is no guarantee that opportunity will come back. I have no control over the forces of nature. It is totally upto you, on how you use this information. 21. other mysteries, murder, conspiracy, betrayal, treachery and much more, which cannot be described in this website. List of popular and advanced questions. Many of my subscribers, keep coming again and again, every week. Have a look. Nature has answers to questions, concerning any mysteries of human life. Horary charts are used for such purposes. Please read the description very carefully. For better user experience, I suggest you to make a list of questions to ask me or write it on a piece of paper, before calling me. Experience is the best master. Make sure, you have a description of a situation at hand. I value your time and expect the same. Most important the questions should be genuine and reliable. The more you think about it, its better for me to analyse the situation. You are dealing with serious and reliable person. Enquiries welcome! I can understand and speak good English and Hindi. If you can speak any of these 2 languages, fine. Otherwise, it is better to arrange a mediator/translator for your convenience. FeaturedPosted on January 30, 2017 April 4, 2019 Leave a comment on Astrology = Language of Hope. One who cares!! Horary astrology and innovative applications. This information is very crucial, before getting into any deal. A lot of people are using this science in certain parts of globe. But they never discuss, any such system in general public. This art gained a lot of momentum on 17th century, then went underground, to protect likes and interests of few people. Any deal they enter, be it developing real estate, flipping cars, boats, business, industrial equipment, contracts,lease/rent or any items of commercial value, high stakes games (movements tracked using astrology) so that they know very well when a desired movement (buy/sell/flip) is going to happen in advance. Timing is an important factor in todays fast changing world. In my personal experience, trust and reputation matters a lot on internet. I have spent years to understand this planetary pattern and its influence, and it worked very well like a charm. Build your reserves or resources using this system, avoid bad deals for good, save time and avoid putting all your efforts to sell that particular asset later. This system is kept hidden to balance the buyer/seller ratio. If you need a clear picture, of how this system helps you, contact me using the below mentioned methods. Somewhat, revived the system to put it in good use. I can calculate and give a accurate time frame, when the particular movement is going to happen. Disclaimer: Currently we are also doing lot of beta test, to perfect the art. This art is purely based on timing, and I may discard certain requests, if appropriate. Note: Information required from you to get started. I will request my spirits, to determine a prospect or buyer/seller, the date frame, the price range and other metrics and any other suggestions and improvements, if the spirits provide me. Market conditions? Is this price range ideal? Is this buyer or seller trustworthy or shady deal? Since january 2017, there was a surge on these kind of questions from my clients worldwide. Since Dec 2016 USA elections, there was some changes in immigration laws, visa policy , H1B and other kinds of visas worldwide. Using my astrology art, I can predict visa, work permit, citizenship/residency permit cases. We can also help you to choose right degree/vocation/ higher studies suitable to your profile or career. Student visa/Investor visa/dependant visa and all kinds of visas. Whether foreign settlement is on the cards for work/study and business purpose. If you are the one, looking for green card, I can determine the odds using astrology. For those with no skills/experience/ qualifications there are certain methods to enter top countries legally. I can also detect them, using my astrology art. So there is hope! Let us analyse all the possibilities. You will get a description about the situation or a straight yes/no answers, depending upon what my horary chart says. The universe or nature always show me, what works best for you, using horary chart. This can help in decision making process and see whether things are in your favour or not? Note: Communication methods is through voice calls only, where you get instant answers in real time, and you can also clarify things there and then. We cannot support email for these kind of questions, at the moment. What kind of visa you are applying for? Did you apply before or first time? Your profession if any? Years of experience and company if any? Whether I will get visa or not this time? Any possibility? I will request my spirits, to sync with your energies and determine the outcome. (few minutes). You can then ask whatever questions you want, about this particular topic. 1.When to apply vaastu principles? We suggest you to apply vaastu principles to the plot or building during the beginning of construction itself. Any small change to the structure, demolition or including color of walls,should be changed by consulting with vaastu expert. 3.Cases where Vaastu consultation is mandatory? During my practise as mystic horary astrologer, I used to get lot of such questions from my existing pool of subscribers, whom we have good rapport with. They want to buy new home, cars, a special gadget and want to know the best odds and time. Since 7 years, I am practising this system. Buying selling questions or buy sell questions to flip a product for profits after holding for some time can also be seen and we are able to time this, using this art. So we can give the timeframe, like when the deal is likely to occur in days/ weeks, months, years and even hours for certain kind of purchases, sales and transactions. Listen to the video above, I have explained it with more clarity. When will I buy home? When can I buy that dream car? When can I sell that flat? when can I buy/sell that gadget? At present we only deal with our existing pool of astrology subscribers. The astrology chart, gives a clear analysis of the outcome. It takes years of experience to understand this art. I may also discard certain requests, which we find appropriate. For these kind of questions,we don’t support email, because I believe in to and fro communication, which is very important. Lost dogs or cats? Missing cats or dogs cases are very common. I could see lot of cases posted on social media like facebook and twitter. On average 1000s of cats, dogs, parrots, pigeon and other pets go missing worldwide on daily basis. The figure is much more. The guardians or loved ones are very desperate during such situations. They invest lot of money on flyers, newspapers, agencies, law authorities and more and what not. There is a big community of animal and wildlife admirers worldwide. I care for animals and wildlife too. They need a space on their own. I can understand, how much the owner is depressed once they lose their pets or just missing for some minutes. You can contact me for the same, I can analyse the situation and give insights. Make sure, you provide information such as pets last seen or spotted, enquire with the neighborhood, look the places they hangout too often, inform authorities if possible. Then you can contact me. I will do my best to help you, using astrology. 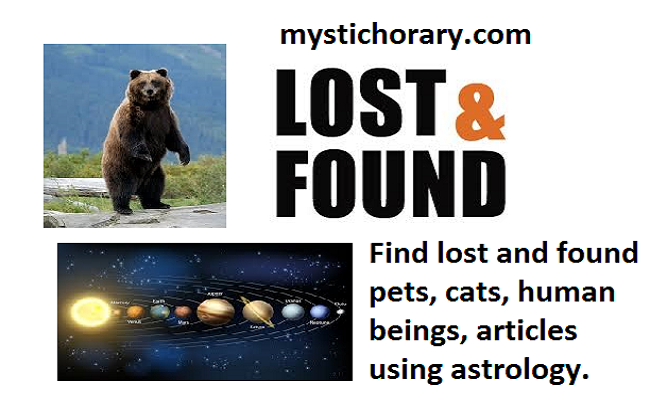 A small description about the animal, the city/state/country, where animal is last seen, did you make any enquiries/searches or contacting me, as soon as you lost contact with them. Did you approach law authorities or not? A photo of the animal, will be ideal. (optional). This will help my spirits, to easily detect the animal and sync with their energies. Most of them have heard the term “Karma” many times. It is the foundation of Indian astrology. All the forces of nature, operate strictly on basis of Karmic theory. Karma is the reservoir of energy. The force and momentum, given by karma to manifest an event, in an astrological chart, cannot be matched. Out of nowhere, people reach peak at a particular point in life, is due to the power of good karma accumulated in past life. It adds on and karma cycle goes on. Good karma works like a charm. Supporting Karma is very important in an astrological chart to achieve certain objectives in life. Astrology is all about cycles and events manifest, when it is ripe or appropriate. This manifestation period, can be tracked using an astrological chart. Timing and manifestation depends upon the karma of an individual in an astrological chart. Some people have good relationship karma, money karma, green thumb and so on. Your birth or natal chart, gives me a glimpse, of how tides of karma are working for you. If beneficial,the individual will achieve all aspects of life, with minimum efforts or almost doing nothing. Also right action at the right time is very important. Times are changing, and the energy level of planets influencing you depends upon the respective planetary periods in your chart. Once timing is compromised, things may not be the same later. So Karma is an invisible force, which changes the tides in your favour or not, based on past life credit. Karma itself forces things to happen. If the natal chart has lot of afflictions, it should be fixed by doing certain remedies to the concerned planets, before the operating period to minimize afflictions to certain extent, by balancing the planetary energies in the astrological chart. We have lot to say about Karma theory alone and we need another blog for the same, to cover all the aspects. Gemstones have hidden powers and can take you to great heights, if used properly. It is embedded inside earth crust for 1000 years and then mined. Anybody who can invoke the planet and then wear this gemstone on a particular lunar day, as per your horoscope, gives the owner great powers. It changes the vibrations,frequency and energy level,aura of your body, which opens the doors to lot of hidden opportunities, which is otherwise not possible using mundane efforts. Order a custom reading, if interested. Gemstone recommendation $15 only (2 to 3 paragraph reading) + followup 2 times on email if appropriate. The reading consists of 2 to 3 paragraph. I will analyse your natal chart, the astrological configuration. Please provide me the correct details. I will suggest a gemstone and all compatible gemstones, suitable to your astrological configuration. The energisation ritual is very important. I will also suggest the time to wear that ring on particular lunar day or key auspicious day. Since gemstone is embedded on earth crust for 100’s of years it carries certain powers. Just wear the gemstone on particular time/date of lunar day and that particular planet will be pleased with you. There are other key external factors (confidential) along with this, and I will explain it either through email or voice calls. I need the following details to get started. Please provide correct details. 5. total no of questions to be asked, as per reading. Email the above details to info@mystichorary.com (OR) we support voice calls too. The reading will be sent through email, within 24 hours. Thanks for buying. (OR) I suggest voice calls on skype, whatsapp or FB, for best user experience, because you can ask questions in real time. Everyday millions in the world aspire to win lottery, sweepstakes,games of chance or some kind of financial windfall. To be frank,there should be a strong karma or planetary promise to make it happen. You can consult me for the same. I shall do an analysis, and see all possible combinations and odds. A lot of people,inbox me about gambling and speculation on daily basis. Order a custom reading, if interested. Starts $15 and above. The reading consists of 2 to 3 paragraph. I will do an analysis of astrological configuration, and provide you the time periods, lucky dasha or timeframe like months or years you should be aware for gambling, stock markets and speculation activities. Remember,not all charts are good for gambling or speculation. We are just analysing the possibilities. People want to know their financial future, hidden gains, any possibility of financial windfall in their chart. Past life Karma is a major factor in your chart, and certain houses, planets and operating period should have enough planetary strength to manifest results. Just be aware of such transits and use it in your advantage, if you have such lady luck in your chart. Also, the probability of lottery winnings and speculation and unexpected wealth is 1 in million. You are competing against huge astronomical odds. You can randomly enter into any sweepstakes or any lucky contests, during such transit. Once again, Please don’t be too much carried away by speculation and gambling. when the time is up, the universe will manifest it for you. Amulets and lucky charms are used in many cultures in the world,since ancient times. They bring luck and fortune to the owner and protect from evil eye,blackmagic and witchcraft. Amulets act like an extra shield of protection and a lucky charm too. We need to analyse your horoscope and then decide what can be done. (strictly based on Karmic theory and laws of nature) A lot of clients share their experiences of how these so called amulets or charms helped them in deadly situations mysteriously or life and death and similar situations. They do possess power, and go out of their ways to protect its owner, bring luck and fortune. Your Karma credit and operating period is also taken into consideration. I have lot to tell, about amulets and lucky charms, this one particular blog, won’t be enough for this topic. 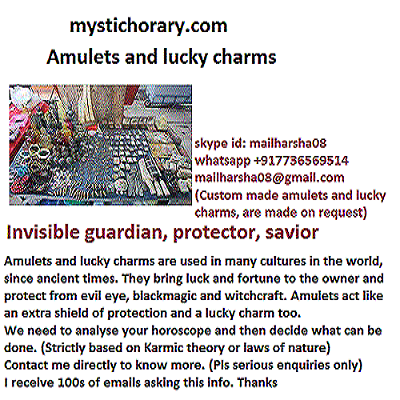 I receive a lot of emails, asking about amulets and lucky charms on daily basis. Emails are anonymous, private and confidential. Contact me, if interested. I shall help you to get the best one customised for you, as per your horoscope. Contact me, for custom reading, if interested. Starts $18 and more. Alright, what will I get from this reading? The reading consists to 2 to 3 paragraph, where I will do an astrological analysis of planetary configuration and suggest a lucky charm suitable to your planetary configuration. You need help or boost of certain planetary element, spiritworld entity, connected with that element. The entity should be pleased with you, or the pet should be well fed and sometimes you need to avoid certain luxuries, non veg food and more. This reading is only about suggestions, analysis, pros and cons. Risk factor is 100%. Faith in the charm or entity is very important. 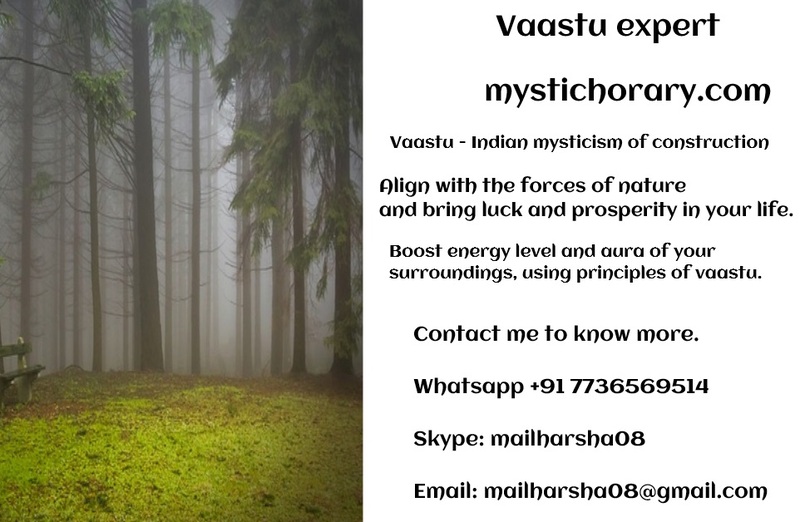 If you any psychic issues, enemy problems, litigations or any confidential issues, contact me directly on voice calls. People from 70+ countries have seen something in us, which binds us together. Posted on March 29, 2019 March 29, 2019 Leave a comment on You have a future. Astrology and spirits have something in store and surprises for you. Start own business on budget. I will even help with GST+ training + legal and consultation for a small fee. (India) Give me a small description about nature of business or company whatever, to do the analysis within minutes. Are you housewife, resigned from job, lack direction in life. I can help you. Using astrology, I have helped many people worldwide to start their own business, using astrology and spirits help. No matter the budget, how small it is. If you are serious, I can determine the odds using astrology and guide you what the spirits have to say. Legal + consultancy is very important and myself consulted lot of lawyers, tax officers, consultants, spent lot of money on that. Changing lives in 70+ countries. There is lot of excitement and amazement in my loyal subscribers base, once I made this information public. I love initiating business, which suits them for my loyal subscribers, give them emotional and moral support. I also analyse the market, competation and many parameters instantly using mystic charts. For American and European countries, where sales tax and VAT is still applicable, it is better you find a consultant for more clarity. Small description about nature of business. The location where you plan to start and any partners involved or solo if any. Spirits have access to some kind of historical data, and can tell me, whether to proceed with the venture or not, or choose some other idea or niche, which aligns with the market conditions. It can also provide any suggestions or improvements if any. Note: We can determine the support and resistance levels instantly using mystic charts. Certain nature of business are not suitable for certain people, and it is better you come with multiple options, so that I can analyse, what suits you the best. It is better to do business with a reliable partner or even spouse or children. (for registration purposes). Because energy levels of each and every person is different. There are some rare and exceptional cases, where I told them, it is better to be in a job, because there are many astrological factors, which should align with what you do. Exception: If your spouse or partner chart is very lucky, has lot of planetary support, aligns with the market conditions as per my spirits, then there is lot of room and opportunity for magic. Otherwise no. Posted on March 22, 2019 March 25, 2019 Leave a comment on Start your own business or company using astrology and spirits help. There is lot of magic hidden in astrology, spirits and mystic charts. During my years of practise and experience, it is this magic element, which draw me towards spirits and mystic charts, since 2011. If you understand how spirits energies, earth energies and mystic energies works on environment and person, the potential is huge. These energies give magical element to astrology. But don’t get too excited. You all have natural energies, controlled by karma. But based on my personal and client experiences, spirits and mystic energies can even surpass natural energies of birth chart, giving us lot of room and opportunity for magic in various aspects of life. We need to determine the odds, the karma and how energies are operating on a person. I can determine this instantl, using mystic charts and determine the outcome. Based on that info, mystic charts will tell me if magic is possible or not. Otherwise it is a big no, due to highly afflicted chart, where karma won’t let smooth flow of things. Risk takers are an exception. There are certain rules to follow, to align and sync with the spirits to tap those magical abilities and help. Magic can be hidden in spirits, animals, powerspots, certain objects and rare astrological combinations, unknown to the person. This magic increases your aura, aligns right people and connections in your way, helps you to find an ideal soulmate, companion, healthy friends circle and people who cares for you. It polarises your chakras instantly, if you align with the spirit realm, using simple mystic exercises, which I can teach you, if I find you are appropriate. Powerful magic and mysteries are hidden in spirits and mystic energies. A serious person, who aligns with nature and respects all living beings, can tap these realm. You should go through all blog posts of this website, to understand about it. Note: Consultation is mandatory to determine how karma, energy levels, aura are acting on you. If you have problems with relationships, attracting a soulmate, breakups, divorce, this simple mystic exercises have done wonders in the past. Energy levels vary from person to person. You just need to meditate 20 minutes a day on a spirit and increase frequency (optional). You will tap some of the magical abilities and vibes, which aligns all dating, matrimony, relationships and even patches old relationships. A discussion is very important for this. Depending upon your energy levels, you could sense change in energy, which polarises heart and relationship chakras and even sexuality, within 3 to 5 days, 2 weeks or sometimes a bit more. It depends upon your energy levels and frequencies. Note : Not all are compatible for this, and I simply prefer not to deal with them. Reason: Some people, no matter whatever they do, spirits doesn’t align with them. That is the reason, I won’t initiate such mystic exercises in first place. Spirits have the abilities to read the mind of any person, you know. Spirits can connect with their energy, and determine their mood and psychology, sense their intentions, what they are upto and more. A small description about the person, whatever you know or just an unknown stranger. If you can provide their photo, that will be great, because spirits can easily connect with their energies and pull the information. How they are related to you or just an unknown person? A small description about a person, whatever you know about them. If possible, how they are related to you or just an unknown stranger. If you have their photo, you can provide it, because spirits can sync with their energies fast, and pull information fastest way possible. what are they thinking about you? Are they beneficial to you, worse or neutral? Note: This video is already embed in FAQ page. If you have already watched it, you can skip this video. all my loyal subscribers, their referrals of friends, colleagues and family members very closer. Read this full post, till the end to understand much better. This Spirits always want me to give you better future, happiness, safety and security. It is the one, motivating me to do things, against high odds, all alone. Spirits are highly sensitive to human needs. They know what works best for you, any situation. Magic. If I ask spirits a question about any person, it can instantly connect with their energy levels, shows me their mood, their behavior, their attitude, gives me the exact energy levels, odds and outcome. This information is very crucial in making steps. 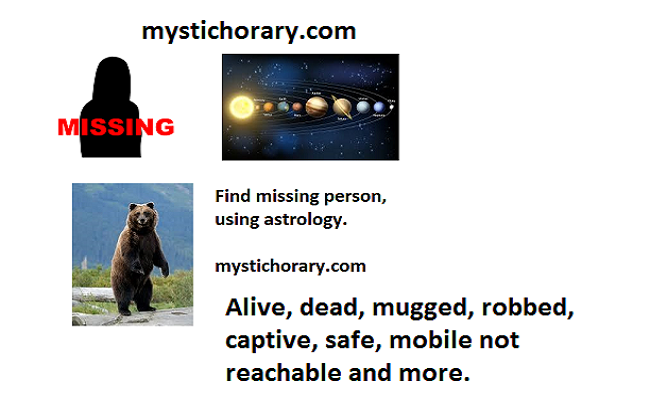 How I want mystichorary.com to be? I want it to be the highest ideal. I am always looking for fix for their problems for my loyal subscribers. Using mystic charts and spirits help, I can instantly determine the outcome and odds and make moves if the outcome is favorable. But, due to the increasing numbers and queue, that kind of individual attention may or may not be possible now. Over the years, since 2011 to present, we have interacted with people of 60+ countries, people from all walks of life, who sync and align with our beliefs. We have understood them much better and know exactly, what they are looking for? Note: There are certain people, we don’t deal with, because they just don’t align with our beliefs and my spirits tell me, this relationship or friendship won’t last long. I was able to fix lot of love, lovelife issues, divorce cases, relationships, breakups, martial life problems,patching up with a lost love/ friend/ authority figure. Don’t get too excited. Let me tell you, how I did this. Most of them are sympathetic to our cause and we reciprocate the same. I only deal with people who align with us, whom we can have great friendship with. Based on the frequency of enquiries I get, I am able to win people in my way, using my website, blog posts, youtube videos. People go through all the content and come to us naturally. After 1 or 2 interactions, they submit fully with their real life problems, without hiding nothing from me, leaving nothing to imagination. It requires high level of trust for them to speak such sensitive topics in first place. Everything moved the way I wanted and I expected, using spirits and mystic charts. That motivated me to go even deeper to real life problems. Most of my subscribers have issues in love, love life, relatonships, breakups, divorce, dating, marriage life, career, job, business, office politics, conspiracy, betrayal, evil eye, blackmagic, health, wealth, speculation, gambling, foreign travel, visa, settlement, court cases, litigation, civil/criminal and other aspects of life. I have also helped them to recover after a breakup, divorce, get back into job/profession after a long break or show a new direction as per energy levels. Helping them to find new direction in life and tap friendly spirit energies for magic. Some of my subscribers are also a victim of conspiracy, betrayal, imprisonment due to things beyond their control, and I was able to show them new direction in life. Everything is energy. 60% of my subscribers have issues in love and love life. I wanted to do something for them within my means and control, if karma and energy levels support it, because a majority of them are good with me. I used to randomly erect a mystic chart and ask spirits, is there a fix? and magic. There are lot of cases, where nothing can be done about it. No fix! Everything depends upon karma and energy levels. That is the way it us. I do get lot of relationship break cases. Using my mystic chart, I determine the psychology and mood of both person instantly. See if other person, have some feelings for you and wants to connect? Sometimes, both will have their own ego, and even though I tell them go and have a talk, it will be fixed, they won’t do it. I just alert them, once, twice and then stop. A lot of cakewalk cases. Sometimes magic is required. persons, and depending upon them, I ask them to make moves if outcome is good or just leave as it is if nothing much can be done about it. It is all about karma, energy levels and odds. If the chart is telling me, just having a talk will fix the issue, I insist them to shed their ego and ask them to do it. Sometimes magic is required. I was able to fix a lot of already divorced cases, using mystic charts and spirits help. Only Exception: After divorce, if your spouse is already committed or married to someone nothing much can be done about it. But most of them still say single. This is where magic can help. They may already have feelings for you. It is all about odds. I could clearly see it in the chart or spirits can reply it to me instantly. It doesn’t matter, if you are divorced after 1 year, 2 year, 5 years or more. Still I was able to fix lot of already divorce cases, if my chart shows a positive outcome instantly. Otherwise nothing much can be done about it. For divorce cases, I always ask my followers to save the marriage. I insist them and alert them once, twice and then stop. It is very easy to break a marriage. No matter, how powerful your birth chart is, be it love marriage or arranged, marriages can fail within a record time of 3 months to 6 months or more. There are lot of factors, beyond our control. Evil eye and blackmagic, can do damage to marriage. Initially I didn’t believe, but years of experience of my clients from different countries have proved this point. All the attempts to save the marriage has failed. Divorce initiated and got it. Few weeks, months and years passed. I just erect a chart about this 2 people,understand the mood and psychology instantly and see if there is any room for fix. If yes, talk and magic whatever. If no, nothing much can be done about it. Some horoscopes configuration have afflictions in such a way that, it will cause damage in first marriage. It is play of Karma. Sometimes, the spouse has been hurt very emotionally and psychologically and they just don’t want to connect. The reasons are many. I don’t like to mention here. Then I will ask spirits, of there is any room and opportunity for second marriage. I will also ask if they have any preferences for second marriage like, the person should be in a particular profession, city, looks, age bar and other preferences. with different energy levels and frequency, love and they find it difficult to adjust and sync with them. Spirits will tell me, if there is someone matching their exact preferences, otherwise a bit of compromise is required. Sometimes magic is required to pull someone to align with your energy levels. lineages who have inherited lot of curses, jinx, which destroys marriage. if your karma and energy levels support it. If you find it difficult to attract a love, soulmate, I can help you with simple mystic exercises, which polarises the chakras and pulls such frequencies like a magnet. Remember karma and energy levels vary from person to person. Everything is energy. Love is energy. Relationship is energy. Friendship is energy. Money is energy. Fertility is energy. Sexuality is energy. If you have worked with earth energies, their nature, mystic and spirit energies things become easier. Otherwise, I can help you on this, if my spirits are willing to help you. it, when the time is right. In this video, I would like to talk about Career, Job, Business, Foreign travel settlement , visa, green card using astrology. Career questions are very common. If you are starting with career please come with 2 or more options if possible to determine the right line of work, which suits you. So that, I can pick the right choice in the pool aligning with your skill and caliber. And job questions, people come with 1 or 2 job offers in hand. They want me to pick the best one in the pool, whether I can do this job or not, upgrade skills or not? How the market or job market is working? These kind of questions are most welcome, including change of job. Whether you will get promotion or not? Mystic charts and spirits have vision similar to crystal ball. They can feel the vibrations, frequency, sense the future. Some people want to start the business. They want to know whether it will be profitable or not? (within 3 months, 6 months). There are many luck factors in astrology, in business matters it is better to align with certain people, will give you better traction, than doing it all alone. Most of the people approach me, asking when they can start a business? I erect the chart and instantly analyse the competation, market,whether you will make profits or not in the first place. Many people approach me for foreign travel and settlement. They want to know about visa status, spouse visa, permanent citizenship, green card and many other aspects to settle in foreign country and even bring their loved ones. lot of these cases particularly from asia and europe. I can analyse the background and tell you the outcome, people involved, their intent whatever. If you are like our kind, get back to us. Hope that helps.